Anyone who claims that the country - 97% of the territory, which constitute the desert, attracting large groups of tourists simply unrealistic, he never was in Egypt! Egypt - the pearl of the world culture will charm you and your touch unimaginable contrast entertainment. 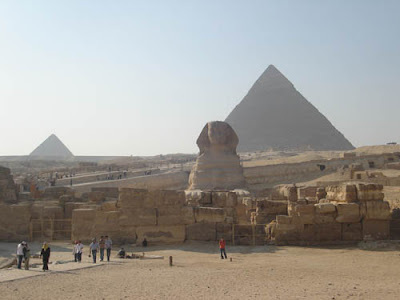 The main attractions of Egypt, of course, are the most ancient pyramids, which hide the great secrets of the pharaohs. Fascinates silhouettes "magic triangle", dilapidated temple complexes Valley of the Kings and noisy bazaars in the eastern neighborhood with comfortable and inexpensive hotels - palaces, amazing sandy beaches and picturesque deserts beckon tourists from all over the world. 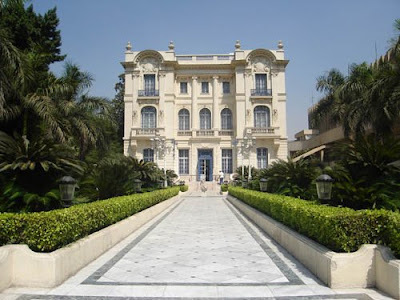 Cradle of civilization - Egypt, affects their ability to grow in step with the times, delivering guests to the country estate unforgettable pleasures. Travelers fall in love in fabled beautiful coral reefs of the Red Sea, inviting them to commit diving in Egypt, or to try windsurfing in Egypt and the Libyan Desert attracts huge fans jeep safari in Egypt. Relax in Egypt, specifically in Sharm el-Sheikh, Hurghada, Dahab, Safaga, Cairo, Alexandria and other cities "of the country pyramids, its exotic charm and you will remember for life. Geography: Egypt is country in north-eastern Africa and the Sinai Peninsula. Egypt borders Libya to the west, Sudan to the south and the Gaza Strip and Israel to the east. The northern coast borders the Mediterranean Sea; the eastern coast borders the Red Sea. Climate: Temperatures average between 27 °C and 32 °C in summer, and up to 43 °C on the Red Sea coast. Temperatures average between 13 °C and 21 °C in winter. Egypt does not receive much rainfall except in the winter months. The Khamaseen is a wind that blows from the south in Egypt in spring, bringing sand and dust, and sometimes raises the temperature in the desert to more than 38 °C. What is your name? Esmak eih? Where can I change money? Fen el sirafa? Help me please. Mumkin tesaedni. How much does it cost? Bekam di? It is (too) expensive. Kitir awe. Is there a cheap? Mafish arkhas? "Who has not seen Cairo - he has not seen the world" - says the Egyptian folk saying. The rich historical and cultural heritages of Cairo mainly represent the Islamic monuments of different eras, but among religious buildings meet Christian churches and Jewish synagogues. Known throughout the Christian world to its carved iconostasis inlaid with ivory Saints Sergius and the Temple of Bacchus, built back in 5 century, next to the church of St. Barbara, Kenisit Ben Ezra synagogue, so that everyone followers will find themselves in Cairo native corner. The excursion in the capital is best to begin with a visit to Castles Salah al-Din, where new inspection majestic mosque Muhammad Ali and installed the monument in his honor, climbing on top of the citadel you can see magnificent view of two worlds unlike Cairo inherited wealth past "Old Town" and growing in step with the times "New Town." No less a matter of great admiration for tourist's cemetery with graves, located in "Dead City". 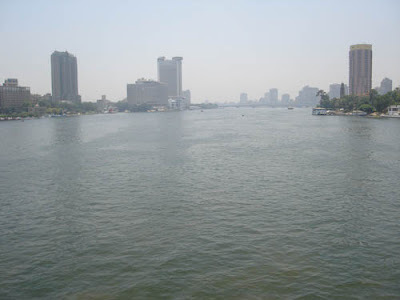 With the same viewing platform, you can see a giant aqueduct, pulling from the "Survivor" Egypt - the Nile to the castle walls, the famous tower Beit Al Sennar, the oldest Arabic Al-Azhar University, and hundreds of other monuments of Cairo. 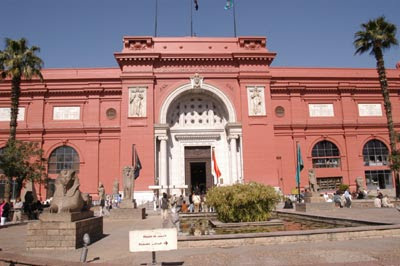 One of the places frequented by Cairo is the Egyptian National Museum - the history of this outpost, where stored more than 100 thousand exhibits, is talking about the power of ancient kings. Among the treasures of the museum, which for a bypass is not possible, many statues, including the Listings to the whole world head Nefertiti, a gold mask of Tutankhamen and the sarcophagus, pharaonic mummy, mummy sad monkey discovered during archaeological expeditions. To buy something you can visit famous for the entire east and bazaar Khan al-Khalili, where the real masters of their cause will do for you is indistinguishable from the original souvenirs. Do not forget to visit the Museum of the same perfume, papyrus Museum, jewelry factory, Zoo, botanical garden, but if you wish to feel ancient Egyptian, be sure to go to Pharos village. 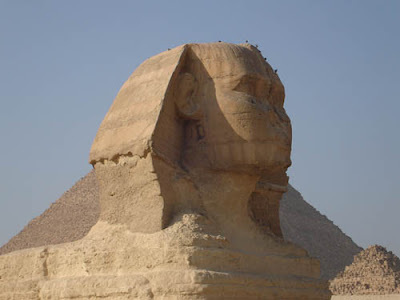 But of course the main attraction of Cairo, or rather his suburb of Giza are built in the desert sun burned famous pyramids, led by Sphinx, half-man , half-animal with the remnants lion's HUA holes on the ground and eyes and nose, which at one time soldiers in Napoleon chose as targets for their guns. Vacationers here several millennia have been Sphinx connoisseur of many secrets, he reveals in a unique laser show. There are more then 80 pyramids in Egypt, but the most famous of which are the tombs of Khufu (or Heops), Khafre (or Hefren) and Menkaure (or Mykerinus) - witnesses' heyday and decline of Egypt, the only remaining of the 7 wonders of the world. Next to these giants constantly walk past hundreds of tourists, Bedouins offer for them free enterprising sit on a camel and be photographed lying. However, no hurry to do so as soon as a tourist ship is hump cross the desert, a experienced Egyptian raises animal, and you are caught in two and a half meters from the land, but to go down they require a certain fee. Probably no exaggeration if we say that who visited Egypt, but not visited Luxor, he did not see the mainly. In this small town, 650 km south of Cairo, still haunt majestic spirit. Luxor was once before the grand Egyptian capital, which ancient Egyptians called Uaset, Greeks - Thebes, and the Arabs - Al-Uksur - "palaces".Today Luxor is the most popular tourist centre of Egypt. The reasons for this are a lot. Where else on earth so tangibly haunt the spirit of the greatest archaeological discoveries, and for what other city in the 18 - 19 centuries was written so many volumes of travel writing and travel novels. 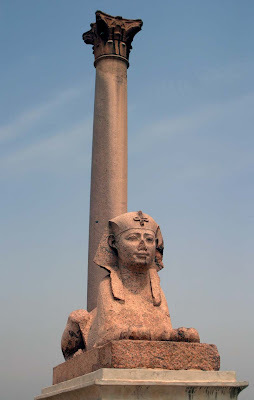 Ancient Thebes located on both banks of the Nile. At the east - two grand temple - Karnak and Luxor connected avenues from sphinxes. Lofty adjoining temple complexes here with luxurious palaces, houses of the nobility, gardens rare trees and artificial lakes. At the other bank of the Nile, in the western part of Thebes, were royal residence and a huge necropolis, located in the amphitheatre of rocks, over which rises Dehenet - "West Peak", now called al-Kurn. 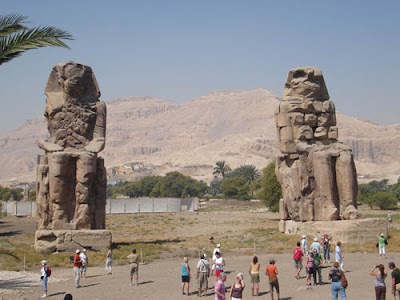 Giant statues of the pharaoh Amenhotep III, who the History called Kolossi of Memnon welcome each traveler at the border of green wheat fields and lifeless desert sands. 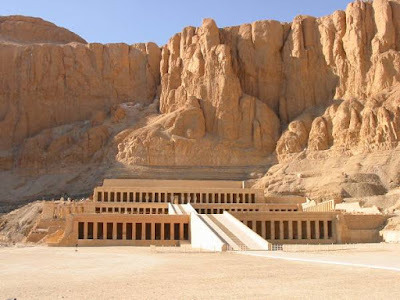 The distinctive and other famous royal temples - Ramesseum, dedicated to the memory of Ramesses II the Great, a set of Ramesses III in Medinet Abu, a temple of Seti I in Kurn, and of course, terraced temple of Queen Hatshepsut at Deir el-Bahri. Alexander the Great came to Egypt in 331 BC after Greece seized. He chose a small village on the shores of the Mediterranean Sea and founded the capital here, which is named Alexandria. The city is situated around Midan Ramla and Midan Saad Zaghoul - large area that goes up to the coastal strip. In Alexandria was once the huge library, which holds more than 500000 books. This city was the center of science, art and philosophy. 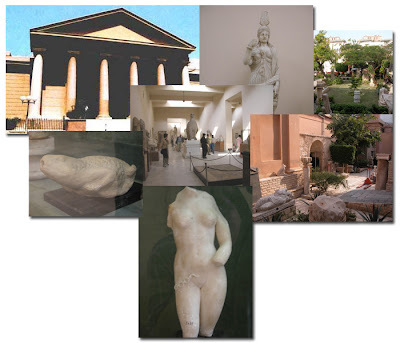 In Greco-Roman museum exhibits are in the third century B.C. There is a huge sculpture made of black granite Apis, the sacred bull, which the Egyptians worshipped; mummies, sarcophagi; crockery; jewelry and samples of ancient texts. There are historical evidences of the existence of Alexandria lighthouse, one of the Seven Wonders of the World. 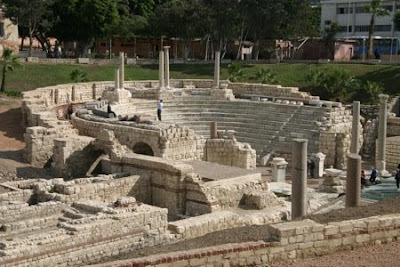 In 1964, Egypt was restored Roman amphitheater. It consisted of 13 white terraces, which are now in excellent condition, although not open his entire area and excavations are continuing. The pillar of Pompey is a massive 25-metre monument of pink granite, 9 meters around. He was named column of Diocletian, as this was built by Emperor in the year 297 AD and remained standing even after the Crusaders coming after 1000 years. Catacombs Kom al-Shoqafa is the largest Roman burial in Egypt, where three of a number of graves and tombs. They were based in the 2 century AD; there are more than 300 graves. Experts hope that in the sea near Alexandria buried palace of Cleopatra, his columns were discovered in 1998, and recently archaeologists get from the bottom of the statue of Isis. Aswan is the southernmost Egyptian city, long been a gateway to Africa. This successful trading city is located near to the equator at the intersection of multiple caravan routes. Once upon a time it was the garrison town and called Svenet (which means "Trade"), it was very important for the early Coptic Christians. The centre of the city Svenet and urban temple were located on the Elephantine island middle of the Nile (formerly known as the island Yebu). The temples and ruins here are not so striking for its beauty, as elsewhere in the country, but it is still a place worth for visiting. Very interesting to visit are the tombs of nobles and the Nubian Museum, where exhibits telling the history and culture of Nubian people from ancient times until today. 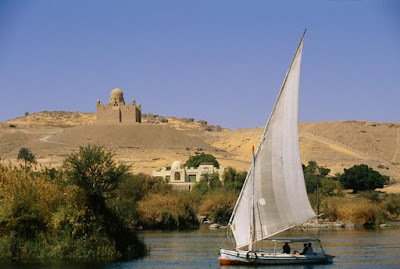 South of the city begin thresholds Nile, which Aswan is one of the most picturesque places of the country. Nubians, who settled in Aswan, give him a special African flavor: in restaurants you can hear old Nubian music, and in souvenir shops to buy bright Nubian embroideries. In the winter streets of Aswan revive, its restaurants, embankments and bazaars are filled with crowds of tourists. You can hardly forget how majestic Nile at the site when it flows down the High Dams, and in Lake Nasser is very interesting to observe the light feluccas (traditional Egyptian boats), fun sliding waves. In Aswan there is no bridge across the river. To get to the car to another shore, you should pass on the ridge of the old dam. The Aswan dam has indeed become one of the landmarks of the city. This is a huge, unique construction height of 111 m, 3.5 km in length and width of 1 km called "pyramid twentieth century." On the left bank of the river, the dam at the western foundation, erected the monument Egyptian-Soviet friendship. Unique and peculiar biggest spa of Egypt - Hurghada, attractive, especially its non-transferable touch, in which elements of western service and comfort mainstreaming in the eastern culture do not violate national magic atmosphere. Place on the west coast of Red Sea Hurghada, year-round surprises tourists from all over the world fascinates its beauty, which merged the beauty of blue sea and golden desert surface, in the cozy carry sand beaches. Lounges and umbrellas, mattresses and beds, perfect sand, there is more dignity beaches of Hurghada, whose main feature is the lack of corals in the bathing zone, which creates excellent conditions for family recreation dimensions, without fear of harming resident's kingdom of Neptune. None acquainted the thrill of diving in Hurghada, are invited to visit fabulous coral reefs and islands. Incredibly beautiful diving in Hurghada on the coral island of Umm Kamar, where 20 m depth you feel real pleasure of opening before your eyes paintings of this underwater paradise. Fans of diving with a mask in Hurghada will not be too disappointed, having taken out all the necessary equipment; they can do to enjoy the beauty of marine beauty. The water in the Red Sea is distinguished by its crystal purity and transparency. 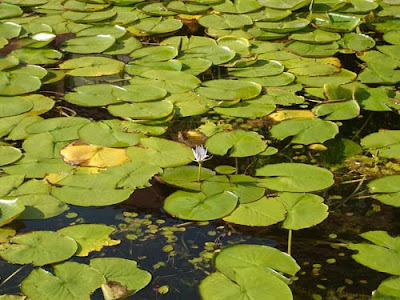 And for those who are and it seems extreme, offers its services to the famous boat with a transparent bottom "Sinbad" or amusement park "Aquarium". For fans of windsurfing Hurghada creates excellent conditions for a favorite sports. 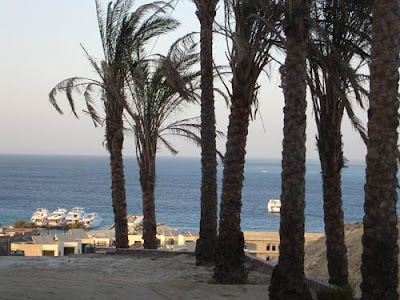 Not forgotten and entertainment such as water cycling, water skiing, walks on the cutter and other exciting activities not related to the sea, for example, on camel safari in Hurghada or traditional jeep safari in the desert. July 23, 2008 at 7:48 PM This comment has been removed by a blog administrator. July 23, 2008 at 7:50 PM This comment has been removed by a blog administrator. © 2013 Where To Travel ?. All rights reserved.